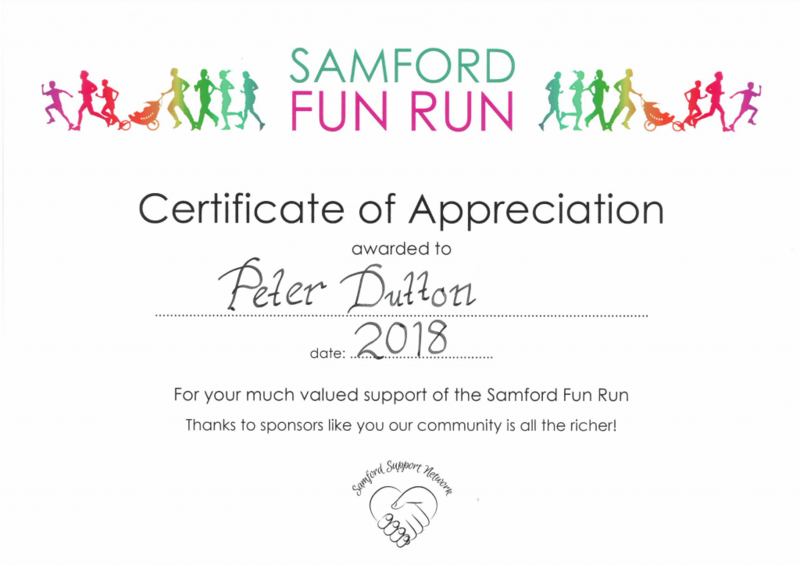 I have known Peter for over ten years now and to be honest Peter has not changed a bit, he remains approachable, focused and sincerely devoted to our Dickson Community. 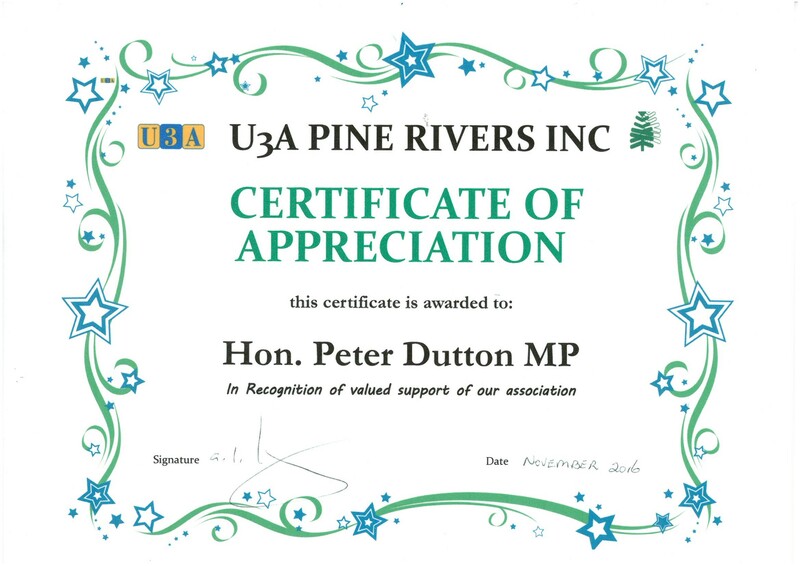 From the day Peter rescued Pine Rivers United Football Club from virtual bankruptcy due to an error made on our Club Tax Returns, Peter fought tirelessly for over 18 months with the ATO to make sure the matter was resolved and the club cleared of any unjust debt owed to the ATO. 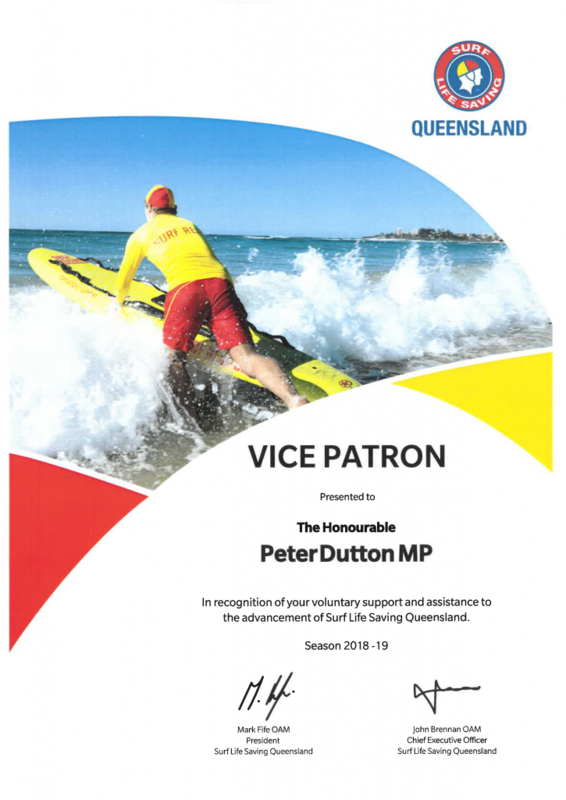 Peter has continued to support my growth as a community coach in Dickson. Don’t forget to support the person who works the hardest for you. 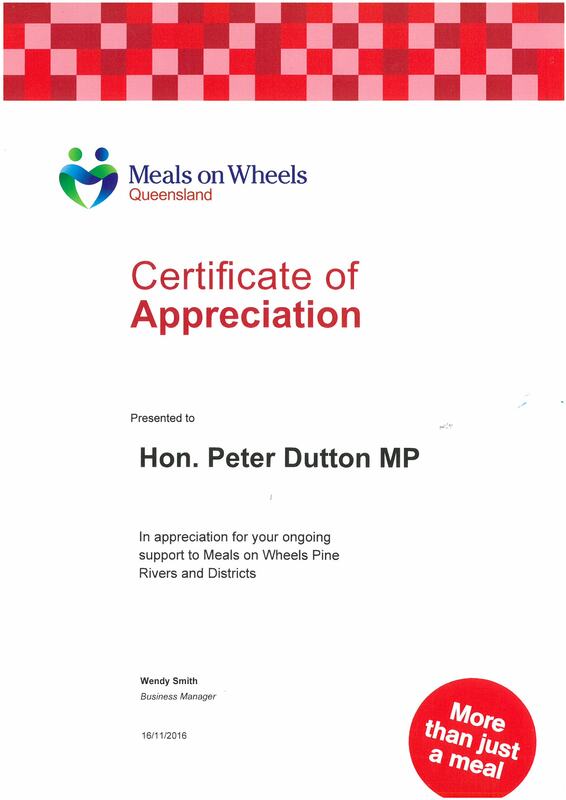 In my 10 years of being involved in sporting clubs, I have had the privilege of knowing and working with Peter Dutton. During this time I have found him to be very much in touch with the community he represents and genuinely interested in their welfare. 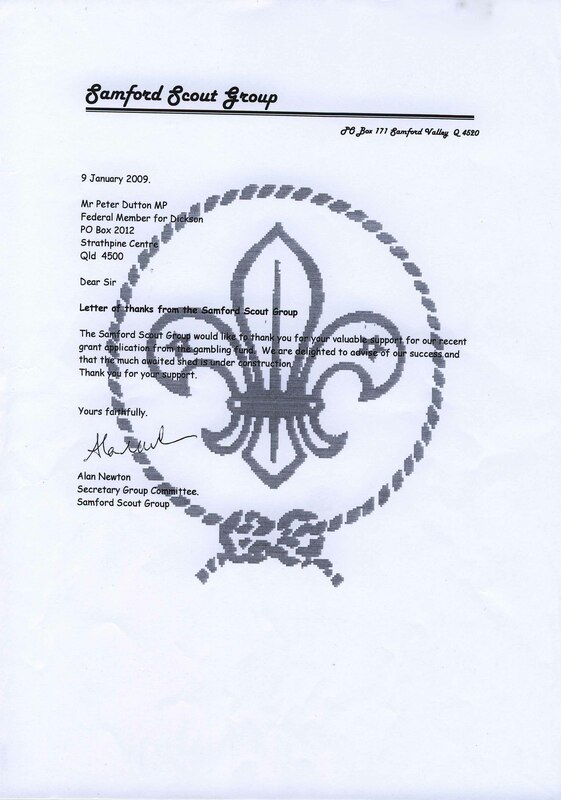 Peter has always been approachable, accessible and most importantly honest in his dealings with the community. 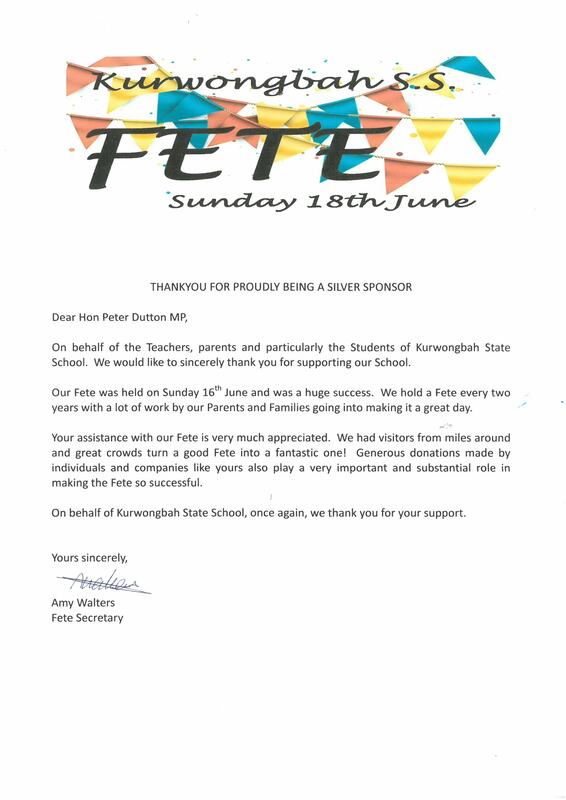 It is indeed reassuring for me to know that Peter Dutton is part of the Federal decision makers that influence the future of my children and Australia. There is no doubt in my mind that Peter Dutton puts the interest and wellbeing of the community and the country first which is why I believe that as Australia takes on the challenges of a new economy in the next 10 years, we need individuals like Peter Dutton representing the community in Canberra. 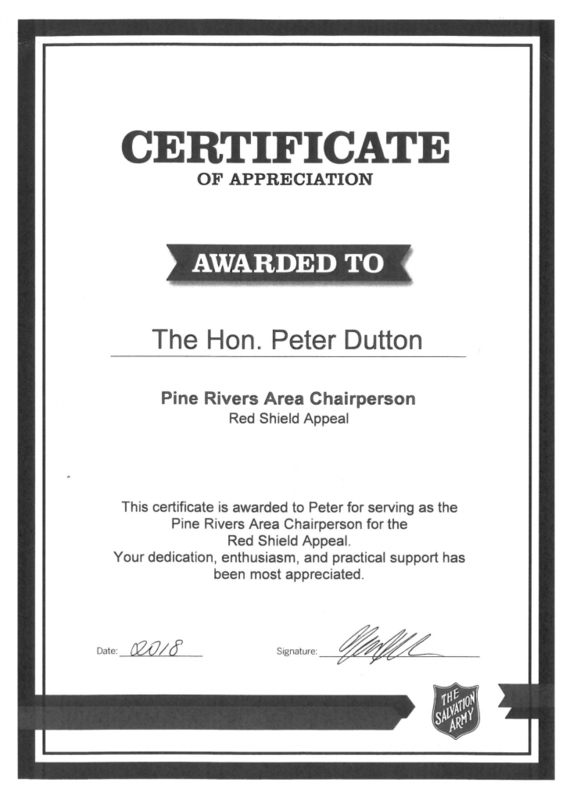 As Mayor of Pine Rivers Shire Council, I always appreciated the efforts of Peter Dutton who helped me in advancing the shire. 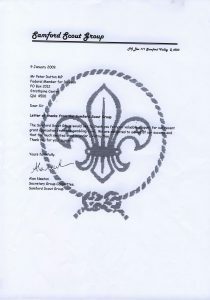 I could always approach Peter and whether it was a local, state or federal issue, he was available and willing to help. We need this backing even more so today to carry the area ahead. He understands Pine Rivers and our local issues. 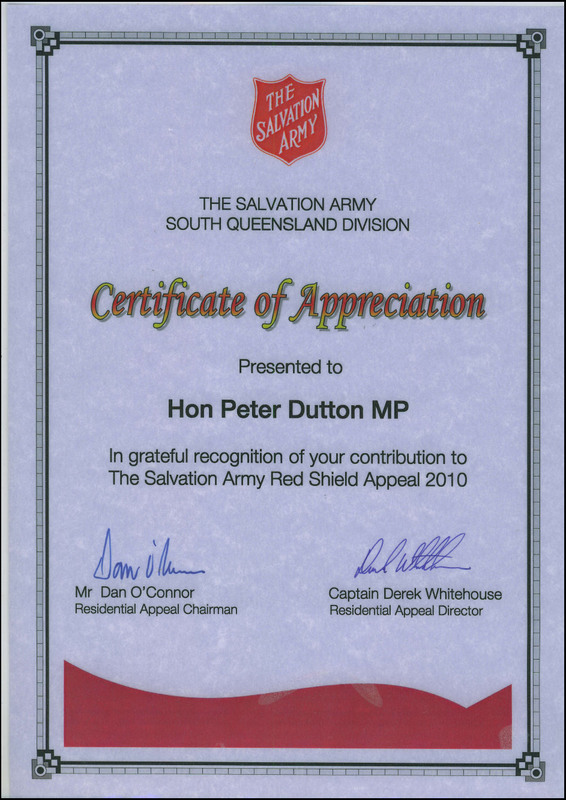 I have been associated with Peter Dutton for the past eighteen (18) years and I consider him to be a man of unquestionable integrity. 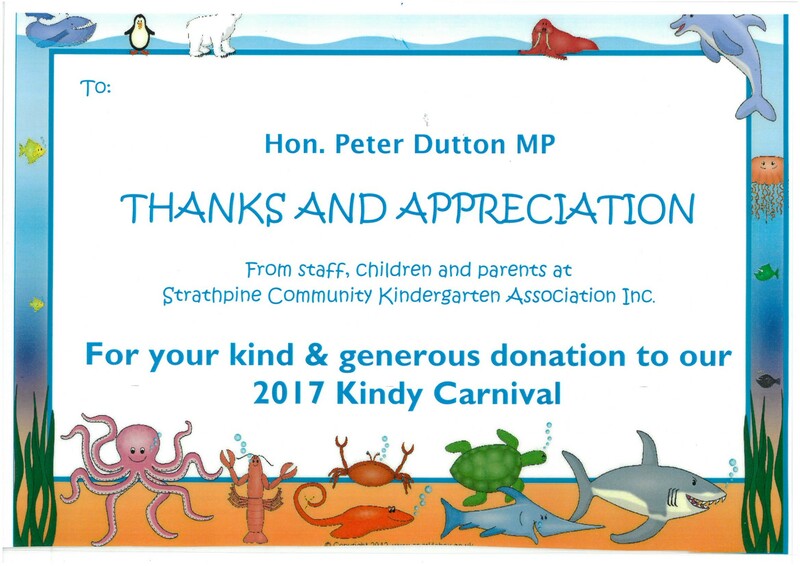 Clubs, the Pine Rivers Show Society and the Committee for the distribution of (ANZAC 100 Year Celebration Funds). 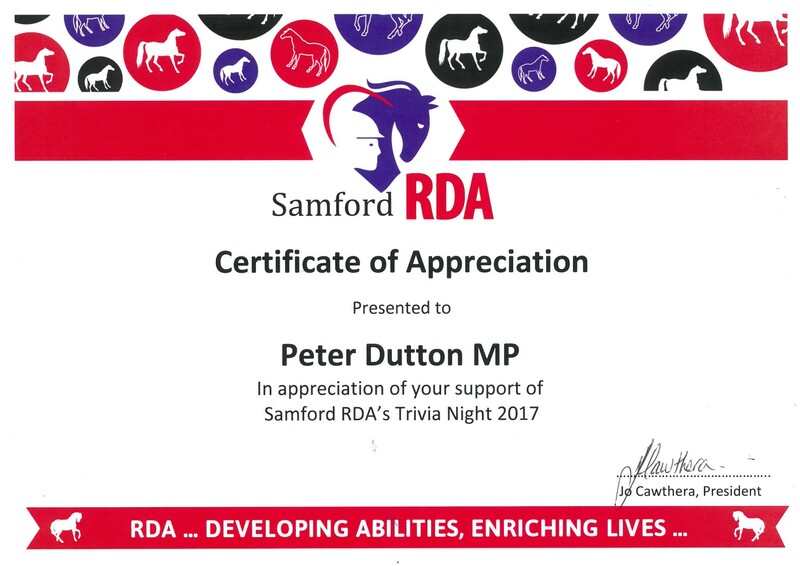 Peter’s Ministerial achievements within the numerous portfolios he has held, and his dedication to the Dickson Electorate is highly commendable. I am proud to call Peter a friend and I congratulate him on the many years he has so sincerely represented our electorate and Australia.